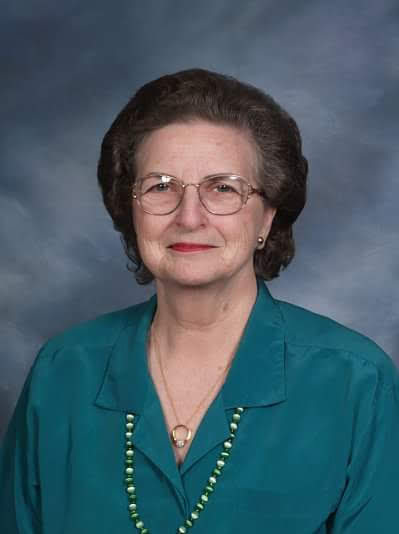 Johnelle Estella Wilson, age 83 of Orange, Texas passed away surrounded by her loving family on Wednesday, March 27, 2019. Services to honor Johnelle's life will be held at 12:00 PM on Saturday, March 30, 2019 at Dorman Funeral Home Chapel with Ken Rutherford officiating. Interment will immediately follow at Hillcrest Memorial Gardens. Family and friends will gather from 10:00 AM to 12:00 PM at Dorman Funeral Home Chapel for visitation on Saturday. Johnelle was born on May 12, 1935 in Ironton, Texas to Carrie Crump Hughes and Willie D. Hughes. She had been a longtime resident of Orange and graduated from Lutcher Stark High School in 1953 and was rope twirler in the Bengal Guard. She was a member of Community Church- Orange. Johnelle was a very talented artist, made fabulous cakes and was gifted in so many ways. She opened Johnelle's Creamery and along with her husband George began catering special events, coordinating weddings and floral designing for these events. Johnelle always had a great sense of business and never met a stranger. Johnelle loved to talk and when possible shared her love of Jesus. Johnelle loved her family and all of the many grand kids and great-grandkids. She is preceded in death by her husband, George C. Wilson and her parents, Willie and Carrie Hughes, great grandson Nicolas Wragg. Those left to cherish her memory are her three children; Rocky G. Wilson of Orange, Texas, Kenney L. Wilson and his wife Tammy of Orange, Texas and Donna D. Wilson of Orange, TX. One brother Burnis Maac Hughes and his wife Jerry of Bridge City, TX and one sister Wylba D. Hubbard of Bridge City, TX. Five grandchildren; Lori Williams, Carrie Wilson, Amber Peveto, Nikki Peveto and Whitney Loper, eight great grandchildren; Adam Cain, Sarah Williams, Dillon Wragg, Bryan Dunmon, McKinley Cain, Zayna Cain, George Pattillo-Dunmon, and Cole Stahl as well as numerous nieces, nephews and friends. Pallbearers will be Kenny Turner, Lawson Loper, Maac Hughes, Jimmy Hughes, Dean Wilson and Johnny Norwood.